A new series of tests conducted by the Insurance Institute for Highway Safety has made its way into the light. The paper, dubbed “Reality Check”, covers the testing of five different driver assistance systems from Volvo, Mercedes Benz, BMW and Tesla. The key point is a warning that semi-automated systems aren’t the equivalent of self-driving capability. But you know that, right? There are two sides to this thing. The first is that even highly capable ADAS (advanced driver assistance systems) are not infallible. They can make mistakes that cost lives, money or both. In the track and road tests, the IIHS found that lane-centering was as much of a problem with these systems as automatic braking. The Model 3 was the only test car that was able to stop when a vehicle ahead of it stopped. This was in the road test, where all the other cars, including a Model S, failed. Although these systems are promoted as being the best in the industry, they’re not reliable 100% of the time, which is what a self-driving car would have to be. You cannot have a car that drives fine on its own 99% of the time, and you definitely can’t have one on the road that may or may not react like a human driver would. That represents the challenge of achieving true self-driving capability, but it also throws light on the lack of care that drivers tend to have. The IIHS admitted that most of the test scenarios where the systems failed were mentioned in the respective owners’ manuals, but David Zuby, the institute’s chief research officer, also noted that people don’t always read the manual – not a phenomenon that surprises us. This is the second aspect of self-driving capability. Humans are so enamored of the whole idea of a car driving itself that they may tend to treat ADAS as if it were the pinnacle of autonomous capability. It’s not. The key word here is ‘assistance’, which means you don’t let go of control of the car; you remain prepared to take over on a moment’s notice. The car might ask you to take over, but even if it doesn’t you have to be ready just the same. 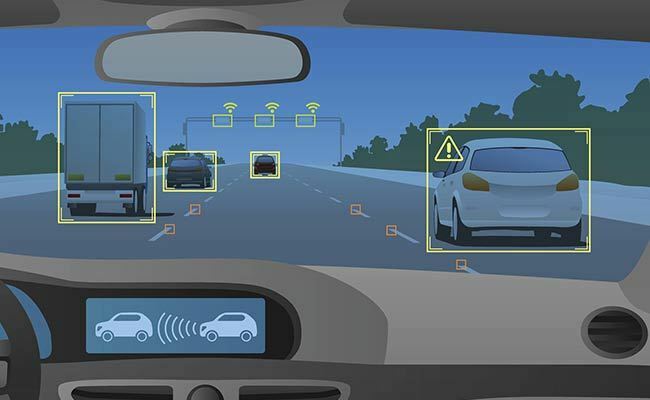 This human aspect of the car-man relationship is one of the hurdles to developing true autonomous driving capabilities. Either we’re too trusting and then blame the technology, or too skeptical and put impossible barriers for the tech itself to jump over. The current recognized standard for a fully autonomous vehicle is L5, as defined by SAE International’s J3016_201806 standard. At that level, the driver’s only input is when arriving at the destination. ADAS is, at best, at L2, which is partial automation. What people think is self-driving capability on a Tesla or a BMW is not the real thing. It will come in incremental updates, as with Tesla’s Autopilot software, which is currently on version 8.1, but it is categorically not an ADS – Automated Driving System. Although the impending August release of Autopilot version 9.0 is being promoted by Tesla Motors CEO Elon Musk as being able to offer “Full Self-Driving Capability” to Autopilot 2.0 cars, it’s doubtful that Tesla has reached anywhere near where Google’s Waymo is currently at with its fleet of 600 Chrysler Pacifica hybrid cars that are being prepped for production at the L5 level. Version 9.0 of Tesla’s Autopilot software might show a significant jump in capabilities, but don’t put your feet up on the dash just yet. It could help significantly reduce the probability of an accident, but we’re pretty sure Tesla’s Ts&Cs will have ample warnings for Tesla owners who might be tempted to close their eyes on a dangerous stretch of road with unpredictable conditions. Tesla Model S: An Able Pillar for Model 3 Success?